WordPress has become of the most popular tools in the world for website building. It is one of the most talked about topics among business owners. WordPress is a open source software program that is absolutely free to use. It also has a great content management system. This software is used for personal use and for business. The free hosted version also known as the .com version, is mostly used for blogging purposes and has limited features. The .org version requires users to upload the software to their own hosting provider. This particular version is mostly used to create websites. What was once making waves in the blogging world, is now a tool of preference for many website builders. So I thought I’d share my top 5 reasons for me giving this platform 2 thumbs up. Ease of Use – WordPress can be easily installed on almost any web server. Small business owners are turning to WordPress because it is extremely user-friendly. Site owners can easily add pages, insert blog posts and other small changes with only the click of a button. WordPress has a dashboard, making it easy to navigate through and manage your website. Themes – Designers love the fact that WordPress has so many themes that can easily be customized to fit the needs of their clients. There are hundreds of free themes available online. For business owners looking for a more exclusive theme, a web designer can be retained to design a theme based on the client’s requirements. These customized themes also make having a professional looking website more cost-effective for entrepreneurs. Having your designer customize your WordPress theme can knock hundreds and sometimes even thousands of dollars off their invoice. Plugins – This is one of the greatest inventions since sliced bread. There are hundreds of plugins available for WordPress users. Plugins are tools that extend the functionality of your site. They allow you to do anything from adding contact forms to installing flash photo galleries. SEO – Three words, Search Engine Optimization. This platform makes even the novice seem like an SEO expert. It takes very little effort to get indexed by search engines. WordPress helps you get better ranking by offering features like tagging your posts, adding categories, SEO plugins and sending pings. Minimum to No Coding or Programming Skills – WordPress requires very little to no HTML or PHP knowledge. WordPress is definitely taking over the nation, it’s a force to be reckoned with in the design world. I fought hard to stay loyal to my site, but in the end I was won over. Now that you have heard my reasons for choosing this platform, I’d love to hear why you chose WordPress. 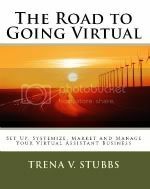 ← Are You Using a Virtual Assistant to Generate Leads?